Watercolour; signed and dated. 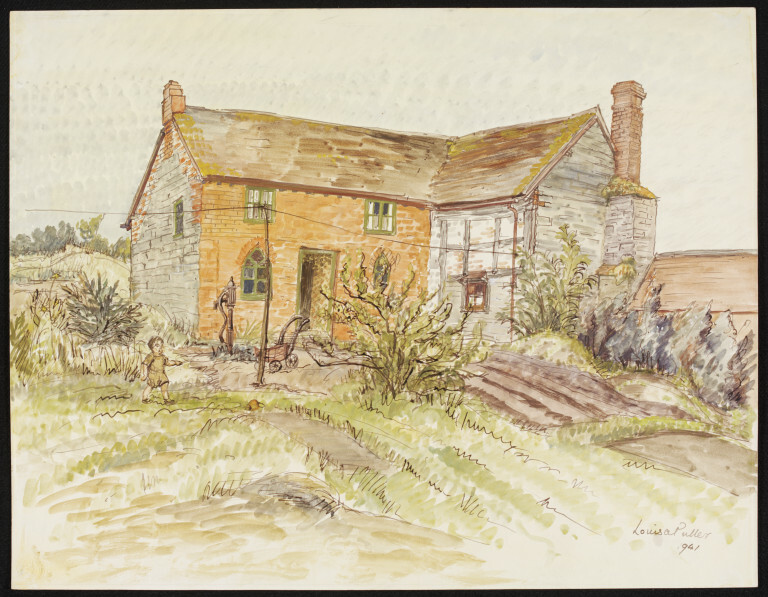 View of a brick and half-timbered cottage, with a standpipe in the garden and a child playing on the grass. 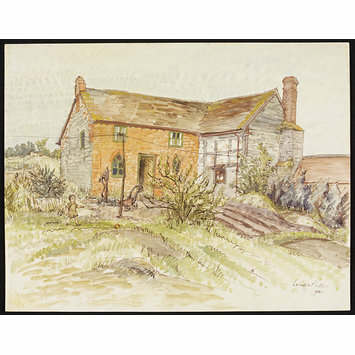 Cottages near Hopton (Recording Britain, Shropshire). Palmer, Arnold, ed. Recording Britain. London: Oxford University Press, 1946-49. Vol. 3: Lancashire and Westmoreland, Derbyshire, Cheshire and Shropshire, Staffordshire, Welsh counties, Worcestershire, Herefordshire, Oxfordshire, Gloucestershire. Introduction to Cheshire and Shropshire, p.45.